Contrary to popular perception, the Bank Secrecy Act requiring the filing of Foreign Bank Account Reports (FBARs) for offshore bank accounts was first passed in 1970. Criminal tax enforcement of the law languished for many years, but public attention started to become focused on offshore bank accounts in June of 2008 when the IRS announced it had filed a "John Doe Summons" seeking an order from a federal court in Miami, Fla., permitting the Internal Revenue Service (IRS) to request information from Swiss banking giant UBS about U.S. taxpayers who were using Swiss bank accounts to commit tax evasion. Ultimately, UBS turned over the names of approximately 4,500 U.S. persons who had “secret” Swiss bank accounts. Our tax litigation attorneys have been assisting clients with offshore bank accounts get their tax affairs in order long before the IRS focused on UBS. The problems with offshore bank accounts are not limited to one Swiss bank. In July 2008 the Homeland Security and Government Affairs Committee Permanent Subcommittee on Investigations released a report which accused LGT Bank of Liechtenstein with promoting tax evasion through the use of fake charitable trusts, foreign shell companies, captive trustees and straw man settlors, anonymous transfers, multiple transfers among companies, disguised business trips, and the use of foreign credit cards to draw on accounts; all to hide the existence of offshore bank and financial accounts. By 2014 the IRS announced that 106 Swiss banks had signed up to pay the IRS substantial penalties for the privilege of turning in their own customers, many of whom had failed to file FBARs, or who were engaged in tax fraud. The tax problems of foreign bank account owners are not limited to those with offshore accounts in Switzerland. Pursuant to the Foreign Account Tax Compliance Act (FATCA), banks and financial institutions in almost every country in the world will be providing foreign account information directly to the Internal Revenue Service. Many immigrants, whether they are from China, India, Israel, Iran, England, Germany, Japan or elsewhere, have foreign bank accounts in their home countries. Many of these individuals fail to realize that if they are U.S. citizens, “green card” holders, or even are physically present in the United States for extended periods of time, they are taxable on their worldwide income. These same individual taxpayers who are required to file U.S tax returns, and who have offshore bank accounts or any other offshore financial accounts, must report income from these offshore financial accounts on Schedule B of their Form 1040 income tax returns, and check the appropriate box. They must also list these offshore bank accounts on their tax returns on Form 8938, as well as certain other foreign assets. Furthermore, taxpayers with signatory authority over, or an interest in offshore bank accounts are required to file FInCEN Form 114 (formerly known Form TDF 90-22.1) no later than June 30th. The form must be filed electronically and there are no extensions allowed. Anyone with a foreign financial account, including an offshore bank account or an offshore securities account, who doesn't file an FBAR can be hit with both criminal tax penalties and civil tax penalties. The criminal tax penalties are a maximum of $250,000, or five years in prison, or both. 31 U.S.C. 5322(a). Even if no criminal tax penalties are imposed, the civil tax penalties are ruinous. Pursuant to 31 USC 5321(a)(5), anyone who willfully violates the law can incur a maximum penalty equal to the greater of $100,000 or 50 percent of the entire balance in the account. There is a six year statute of limitations on the assessment of the penalty. Even if the failure to file an FBAR is non-willful or negligent, the penalty is $10,000 per violation. The IRS takes the position that this means a $10,000 FBAR penalty for each year, and each bank account that is open during the year. Thus, if there are five bank accounts, each of which has been open for 6 years the penalty could be $300,000. It is important to note, however, that these are the maximum tax penalties and a tax litigation attorney MAY be able to negotiate a smaller civil or criminal tax penalty. In addition, the IRS has various programs including the Offshore Voluntary Disclosure Program (OVDP), the Delinquent International Information Return Submission Procedures, Streamlined Foreign Offshore Procedure, the Streamlined Domestic Offshore Procedure, and the Delinquent FBAR Submission Procedure which may result in lower penalties, but can have substantial risks associated with them if not handled properly. 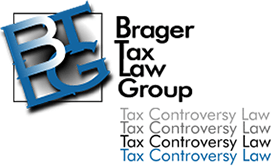 Check our Tax Problem Attorney Blog for the latest developments. Call us now at 800.380.TAX LITIGATOR or contact us online to make an appointment, and find out how our former IRS tax attorneys can help.